A pair of external PC speakers will improve any PC’s audio, but to really bring your sound to life you need a 2.1 system. Creative’s Sound BlasterX Kratos S3 ($80 on Amazon) offers an excellent opportunity to upgrade your audio to the next level without too much expense. 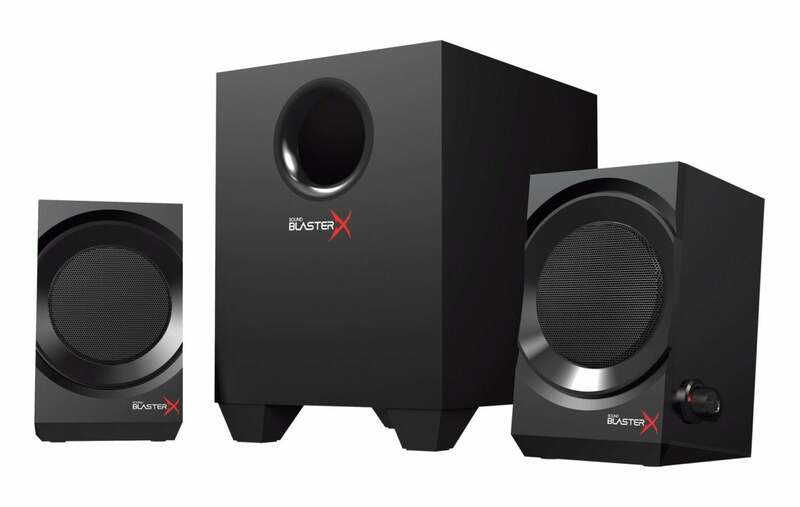 The Sound BlasterX Kratos S3 is the entry-level 2.1 speaker system in Creative’s gaming line, though the only thing that visually separates these from standard PC speakers is the logo emblazoned across all three components. 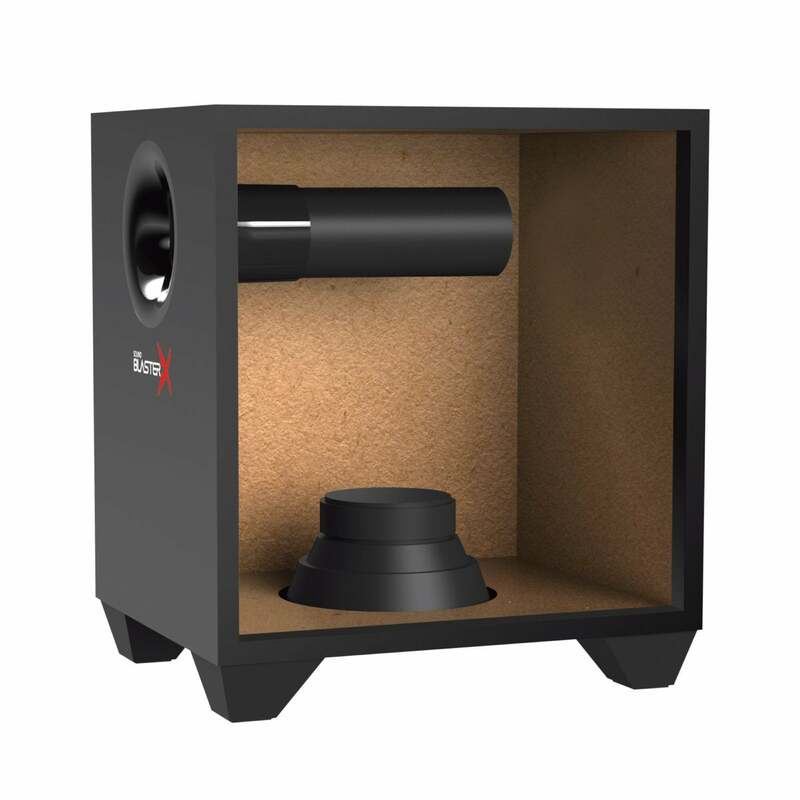 The system’s boxy design is fairly conservative as gaming speakers go, and all three enclosures are constructed entirely of wood for a warmer, more natural sound. The satellites measure approximately 6.2-by-3.7-by-4 inches and sport one mesh-covered 2.75-inch driver each. The left one includes a power/volume knob, an LED indicator that lights when the speakers are on, and a headphone jack. This 2.1 system is versatile enough for all your media. The ported subwoofer measures 9-by-6.7-by-9 inches and weighs about 5 pounds. Four short legs provide ground clearance for the 5.25-inch down-firing woofer. You control the bass level with a knob on the back of the unit, which also features a 3.5mm audio input where you can plug in your phone or mp3 player. Each satellite has its own attached connecting cord, the left with an RCA plug and the right with a 13 pin mini-DIN connector. On the back of the subwoofer, where the satellites plug in, is the power cord and an attached 3.5 mm cable that plugs into the audio out jack on your PC. With 92 watts of peak power, it’s no surprise that the Kratos S3 can fill a room, and we never felt the need to push the volume much past the halfway point. The system has a warm sound overall, with crisp highs and mids. The subwoofer puts out an impressive amount of bass, and we were able to move it under the desk without it losing its presence in the mix. Your not going to get audiophile quality at this price, but the Kratos S3 delivered well above-average sound—with minimal distortion only when pushed to the limit—whether playing music, gaming, or watching film. The Kratos S3’s components are constructed entirely of wood for a warmer sound. We found the Sound BlasterX Kratos versatile enough to bring the best out of all our media. It delivers full warm sound and offers more clarity and a smaller footprint than rival systems we’ve tested. 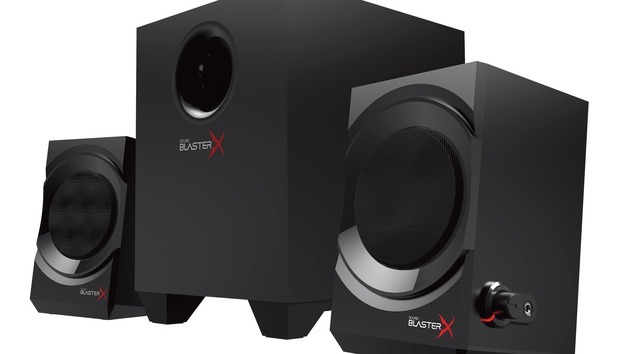 Though it sounds great all by itself, the system can also be used with Sound BlasterX Acoustic Engine Lite software to tweak the audio for different scenarios.